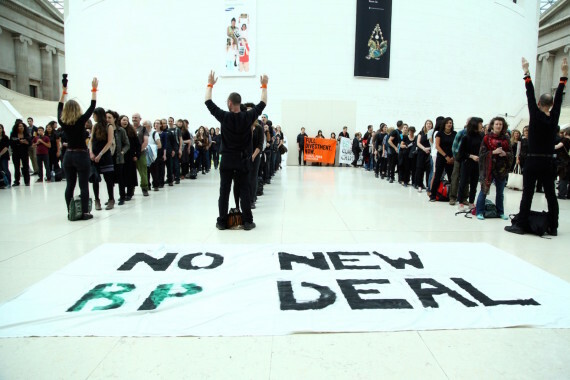 A new report from the Art Not Oil group claims to reveal BP's influence over exhibition content, events and gallery security procedures, with the Museums Association set to investigate. The Museums Association has announced it will investigate claims that some of the UK’s most high profile museums and galleries have breached its code of ethics by allowing sponsor BP to exert inappropriate pressure over key decisions. It follows the publication of a report by the Art Not Oil Coalition of campaign groups that suggests institutions including the British Museum, National Portrait Gallery, Tate and Science Museum have, on numerous occasions, bowed to the demands of the oil giants. The document reveals a number of internal emails, released under the Freedom of Information Act, that suggest BP influenced exhibition content, events and gallery security procedures. Alistair Brown, policy officer at the Museums Association, said its code of ethics is designed to encourage museums to “act transparently and to only seek support from organisations whose values were consistent with their own”. BP offered input into curatorial decision-making at the British Museum’s Indigenous Australia exhibition and the National Portrait Gallery’s BP Portrait Award. Senior staff from BP’s ‘cultural partners’ attended a security meeting at BP’s offices on measures for addressing protest. They then attended counter-terrorism training hosted by BP and the Metropolitan Police nine days later. BP-sponsored events at the British Museum, Science Museum and other venues gave BP privileged access to UK politicians and policymakers. This includes establishing high-level relationships at the Department for Culture, Media and Sport (DCMS), enjoying regular private meetings, and issuing personal invitations from BP’s CEO to the Secretary of State to private launch events. BP CEO Bob Dudley had previously said the company “supports the best of British arts and culture with no strings attached”. However, the report suggests that this is not the case. BP’s behaviour is described by a member of British Museum staff, speaking anonymously to Art Not Oil, as “extremely demanding of the Museum – bullying, I would say”. Responding to the accusations in the report, a spokesperson for BP said: “BP is proud to partner with leading British arts and culture institutions. The National Portrait Gallery similarly rebuked the claims, stating: “Relationships with all sponsors are not about being put ‘under pressure’. We have open discussions with our partners who not unreasonably like to see their support acknowledged. “However, sponsors including BP are very understanding that while their requests are considered some we are unable to accommodate, such as in this instance where the gallery has guidelines governing logo placement and positioning of sponsor credits. A spokesperson for the British Museum also defended BP’s sponsorship, saying it had been crucial to its exhibition output. However, they stopped short of confirming the sponsorship deal would be renewed. They said: “We believe it is more important than ever to deepen people’s understanding of the world’s many and varied cultures and this is something that can be achieved through the temporary exhibition format. It is only possible to develop and host temporary exhibitions with this kind of external support. In an unrelated move, 11 May 2016 will see Tate, who are set to end their sponsorship deal with BP, appearing at the Information Tribunal over an apparent refusal to reveal the sponsorship fees BP paid between 2007-2011, citing ‘commercial confidentiality’. It had previously been revealed that BP fees accounted for just under 0.5% of Tate’s budget between 1990-2006 – equating to around £150,000-£330,000 a year. Taking the appeal forward are London arts group Platform, represented by law firm Leigh Day and Monckton Chambers, and supported by information rights group Request Initiative. Tate had been part of a block five-year sponsorship deal with BP, announced in December 2011, alongside the British Museum, Royal Opera House and National Portrait Gallery. All three have yet to confirm whether they will renew their sponsorship deals with BP beyond 2017, but are due to do so this year.